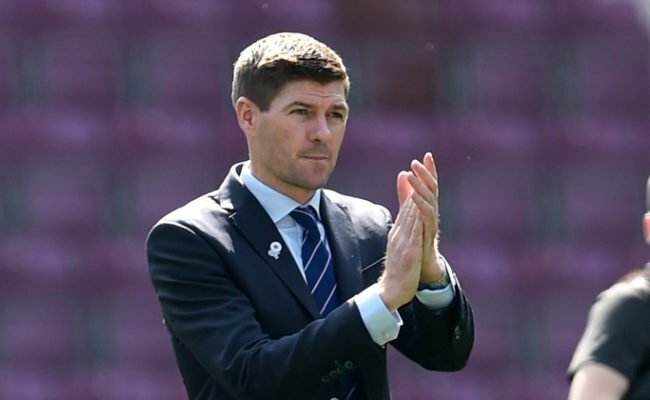 STEVEN GERRARD believes Ross McCrorie could be a future Rangers captain having been so impressed with way the midfielder has gone about his business. 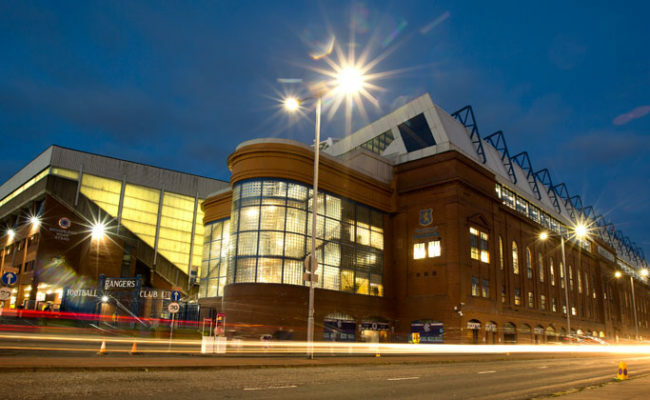 The 20-year old starred in Gers’ last match, the 1-0 win over Celtic, but will miss tomorrow’s Scottish Cup clash with Cowdenbeath having been red carded in the semi-final of that competition last season. 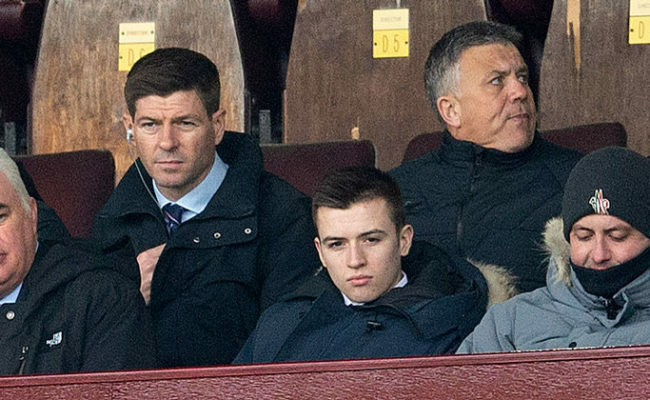 It’s a blow for Gerrard, but the manager was quick to pour scorn on press suggestions the midfielder could be heading elsewhere on loan in the January transfer window. Speaking at this afternoon’s press conference at the Hummel Training Centre, the manager explained: “When we came in, we inherited a player that was hurt mentally. He had a tough time in certain games before we came in and I think his confidence was affected. “So we have had to be really careful with Ross in how we have played him and how we have introduced him in certain games. “What I will say, is he has worked extremely hard on the training pitch and he is growing and he is getting better. “His confidence is coming back, his belief is coming back, and I think in the last four or five performances he has been immense. “It is a shame he is suspended for Cowdenbeath because he had the shirt and unfortunately his suspension gives someone else the opportunity. 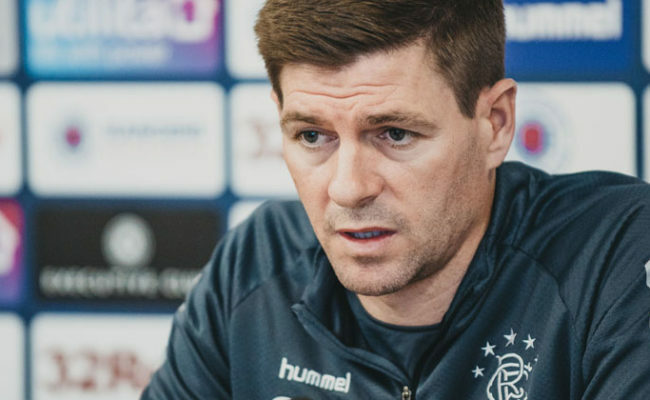 Ahead of the trip to Fife tomorrow, Gerrard gave an injury update and revealed as well as McCrorie being unavailable, Gers will be without both Eros Grezda and Connor Goldson. The manager continued: “Eros Grezda won’t be available for a few weeks as he has an ankle ligament injury. 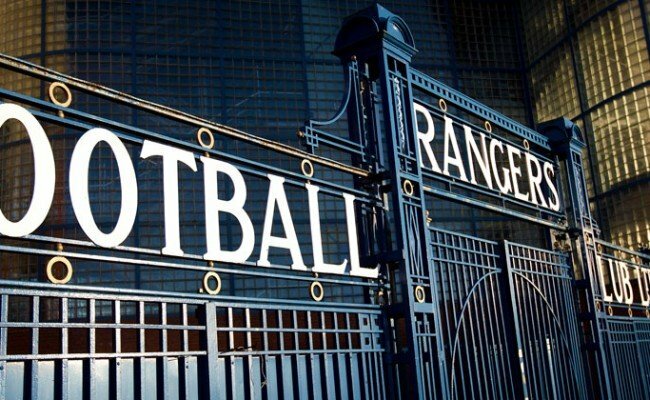 Connor Goldson is still in rehab and will be missing tomorrow, but hopefully we won’t be too long. “Borna Barisic is back fit and is back in full training. You will see Borna get some minutes over the next couple of fixtures, and the idea for him is to try and get him available for 90 minutes in the coming week. 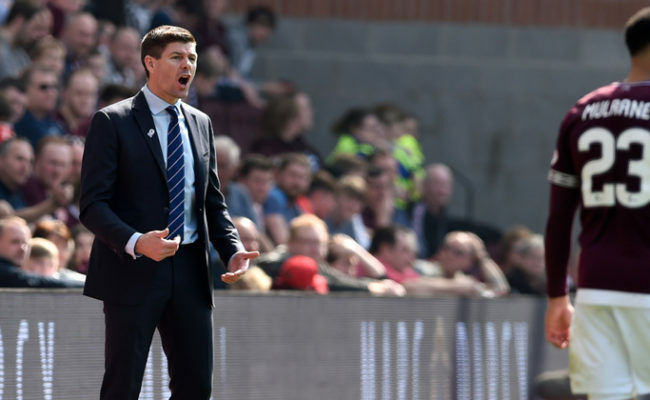 Gerrard was also quizzed on longer-term absentees Graham Dorrans and Jamie Murphy, adding: “They are progressing well. Jamie is long-term obviously so you are looking at the back end of the season if we are going to see him. “Hopefully he keeps progressing and we could see him around the end of April or in the final fixtures before the end of the season – we will see.